List of data, research and insights companies and services Located in Saudi Arabia. Click to view detailed company profiles, get contact information and more. Full service with over 30 years of experience in the MENA, strongly present in Saudi Arabia with 2 fully equipped offices located in both Jeddah and Riyadh, offering clients with the best coverage of the Saudi market through a highly dedicated and reliable team at competitive prices. A Saudi team, passionate about growth and knowledge, specialized in Market Research and Data Management, understanding the Saudi market's needs and interests. 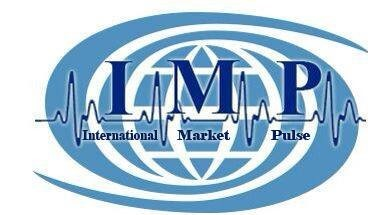 International market pulse is a full market research services addition to dedicated healthcare division covering North Africa & Middle East (MENA), which regards itself as a supplier of knowledge to the world’s leading Consumer Research, pharmaceutical, Quant & Qual. Conducting Research in KSA since 1995, Nagy Research KSA branch is one of the strongest offices covering both quantitative and qualitative studies nationwide following the international standards for QUALITY at cost effective PRICES and within the AGREED TIMELINES. Pharma Dynamics is a full service dedicated healthcare marketing insights and intelligence organization covering MENA region since 2002, which regards itself as a supplier of knowledge to the world’s leading pharmaceutical, biotech, devices and diagnostics companies. MASMI Middle East with two offices - in Cyprus and Saudi Arabia - established in 2007, is part of MASMI Research Group, which specialises in ad hoc consumer and B2B research across the whole of Europe, Central Asia, the Caucasus and the Middle East. Creative Max is a Regional Market Research Agency that has offices in Riyadh, Jeddah and Cairo. The HQ is in Riyadh, Saudi Arabia. Our business covers the Gulf region & North Africa. We Provide Our Clients With ! AMRC-Global is an independent and leading marketing research and consulting firm, owned by the directors who have over 20 years experience in the market research serving clients from almost all major industries, including the Automotive , Finances & Banking, Pharmaceutical, FMCG, Media..etc!